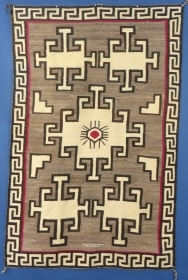 active since October, 30, 2016. 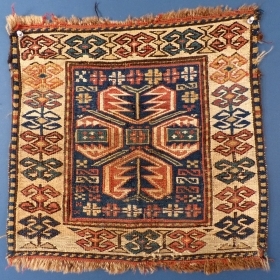 Antique Caucasian Kuba(? 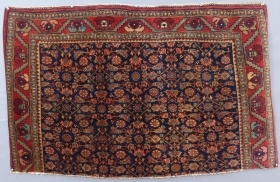 ), c.1875-1900, Shows wear. 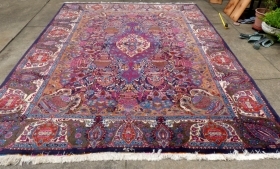 Price, more photos and details on request...SOLD. 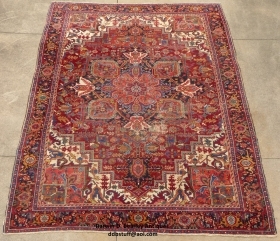 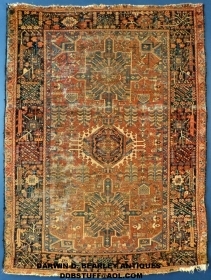 Antique Caucasian Kuba, c. 1875-1900,70" x 40", Good condition with brown corrosion, Price , more photos and details on request...SOLD. 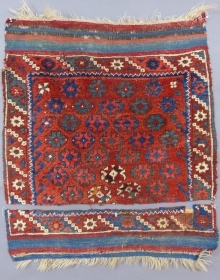 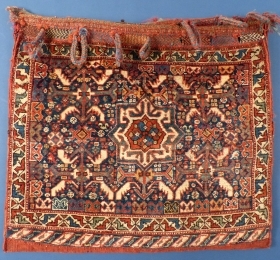 Antique Boteh Khamseh, c. 1875-80, Shows wear, Price on request...SOLD. 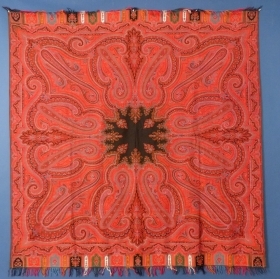 Ivory Sarouk(? 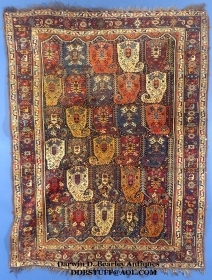 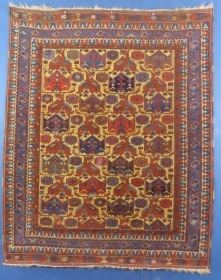 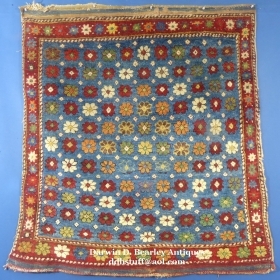 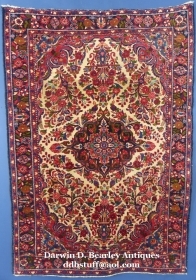 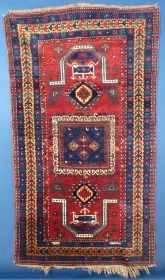 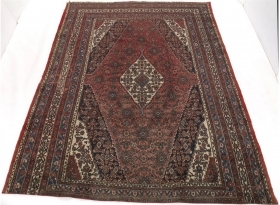 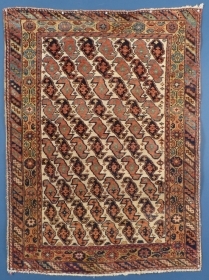 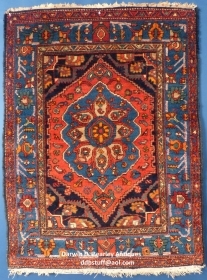 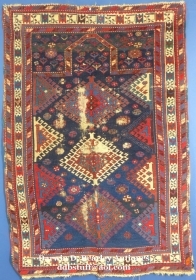 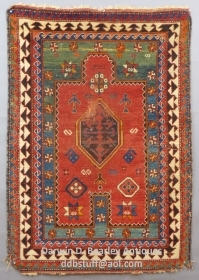 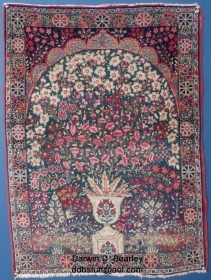 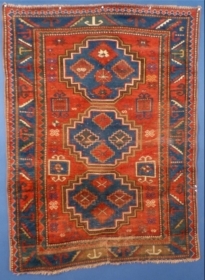 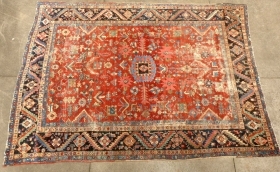 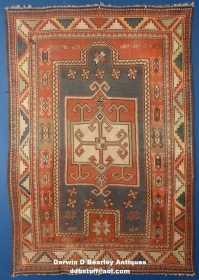 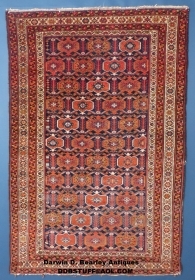 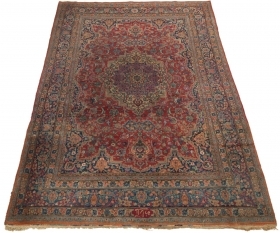 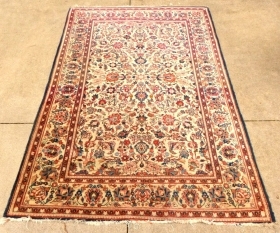 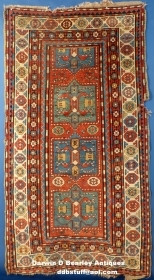 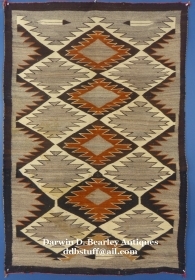 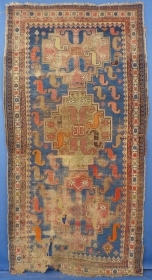 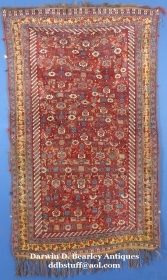 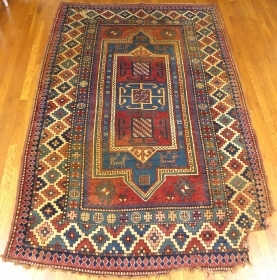 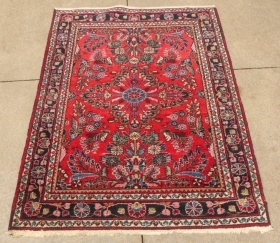 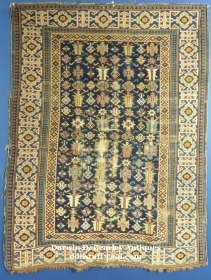 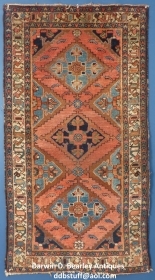 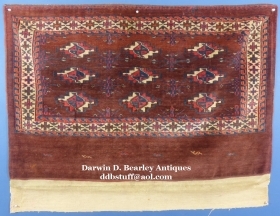 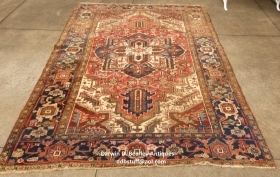 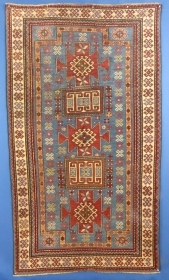 ), Early 20th Century, Excellent weave and condition, Measures 53" x 82". 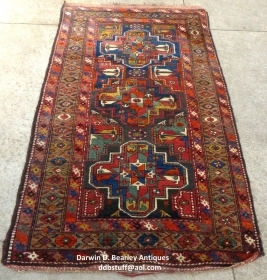 available, $575 plus shipping. 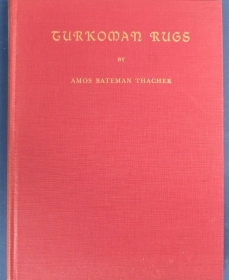 "Turkoman Rugs" by Amos Bateman Thacher, 1940, Hardback, Excellent condition. 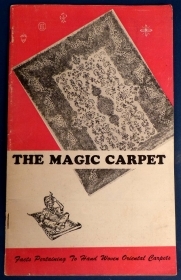 "The Magic Carpet", "Facts Pertaining to Hand Woven Oriental Carpets" Paperback, Good used condition. 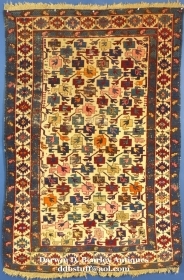 "An Exhibition of Oriental Rugs", "February 6 through March 16, 1947." 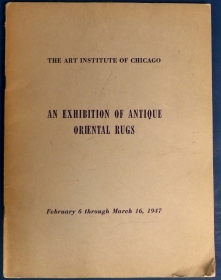 Art Institute of Chicago, Paperback, good used condition. 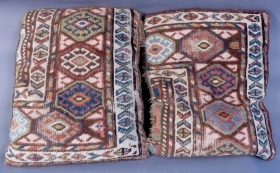 2 large Toss Pillows made from fragments of a Caucasian Rug Each measures 23" x 19".